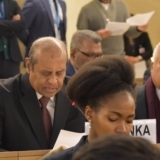 His Excellency Maithripala Sirisena, President of the Democratic Socialist Republic of Sri Lanka visited Kenya to attend the One Planet Summit and the Fourth Session of the United Nations Environment Assembly from 13th to 16th March 2019. Addressing the Environment Assembly, the President highlighted Sri Lanka’s achievement in contributing towards an environmentally sustainable future for the children of the world. The President stated that several ground level Blue-Green smart initiatives have been taken covering both land and ocean. The President also stated that Sri Lanka cosponsored Resolutions at the UNEA 4 Assembly along with other partnering countries on; Conservation of Mangroves, Marine Litter and Microplastics, Solid Waste Management and Food Loss and Waste. The UNEA 4 was graced with the attendance of French President Emmanuel Macron, President of Madagascar Andry Rajoelina, Prime Minister of Rwanda Édouard Ngirente, UN Deputy Secretary-General, Amina J. Mohammed, UNEA-4 President Siim Valmar Kiisler, Acting Executive Director, UNEP Joyce Msuya, Interim President and CEO, World Bank Kristalina Georgieva and as the host President Uhuru Kenyatta. Appreciating the long term collaboration with Sri Lanka, the President visited the International Centre for Research in Agro Forestry (ICRAF), where a tree was planted in commemoration of his first visit. Director General, Mr.Tony Simons and Deputy Director Research, Mr.Ravi Prabhu, appreciated the initiatives of the President in the environmental front and thanked him for his support in their endeavours in Sri Lanka as the Minister of Environment. Mr Prabhu, made special mention of the environmentally sound initiatives taken by the President around the Moragahakanda project. 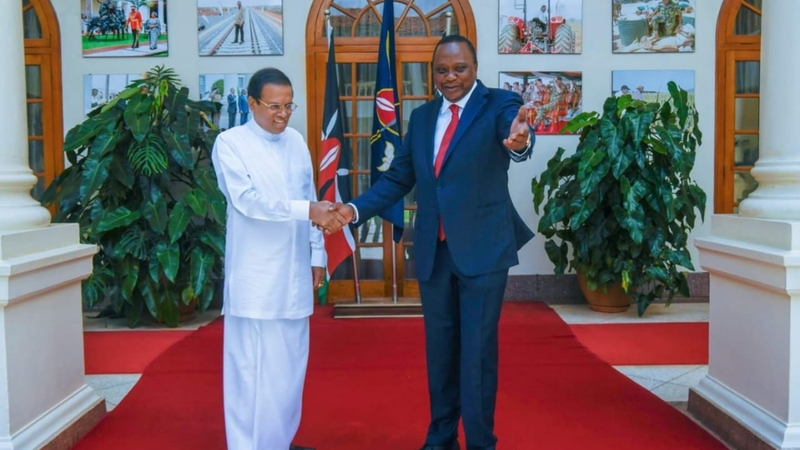 President Sirisena also had a discussion with President Kenyatta at the State House on 15th March 2019. Both Presidents focused on common issues that hinder rapid development of the two countries. The Sri Lankan community met the President at a function hosted by the Sri Lanka Mission in Nairobi. At the event, Sri Lankan Association in Kenya presented a short documentary on the history of Sri Lankan businesses in Kenya. They also pledged their support for the endeavours and initiatives of the President in safeguarding Sri Lankan interests. Speaking at the event, the President appreciated the initiatives of the Sri Lankan Association for their tireless efforts in preserving Sri Lankan culture in Kenya. The President has also appreciated the dance performance of children of Sri Lankans living in Kenya. 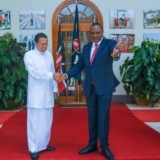 In remembrance of the visit, the Sri Lanka-Kenya Association presented a momentum to the President. 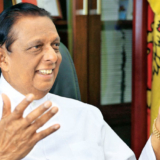 On the morning of 16th of March, the President was welcomed by Rev. Yatirawana Wimala Thero at Sri Lanka Buddhist Temple in Loresho, Nairobi. Kenyan student s from surrounding schools performed a traditional dance to welcome the President.